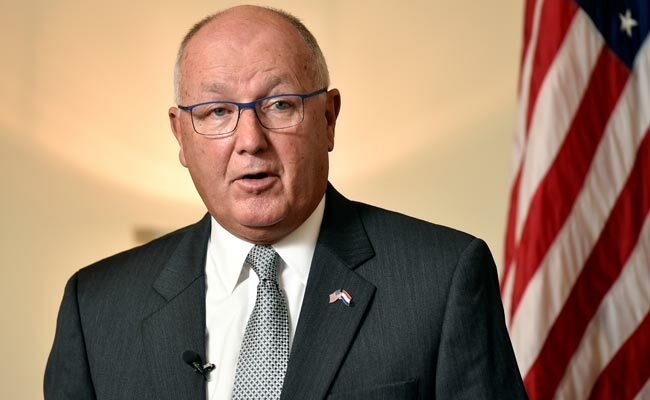 US Envoy To Netherlands: Muslim Comment Was "Just Wrong"
In an interview with the newspaper Telegraaf, Pete Hoekstra, a former Republican congressman for Michigan appointed by Trump as ambassador, apologised for the 2015 statement. Amsterdam: US President Donald Trump's new envoy to the Netherlands said on Friday a comment he made two years ago about Dutch politicians being set on fire by Muslim immigrants was "just wrong," two days after he refused to answer questions about what he had said. "The Islamic movement is now gotten to a point where they have put Europe into chaos," Hoekstra had said at a November 2015 event sponsored by the right-wing David Horowitz Freedom Center gathering, which was recorded. He added "...There are politicians that are being burned". Reflecting on his remarks, Hoekstra told the Telegraaf: "That one shocked me personally ... While you know there have been other issues in other countries in Europe, you know that has never been the circumstances here. That was a wrong statement. That was just wrong." The interview emerged two days after he angered the Dutch press by refusing to answer questions about the remarks at a meeting with reporters. It coincides with a furore ignited by Trump himself who reportedly referred to various countries as "shithole countries", although he later denied this.. Under Secretary of State Steve Goldstein told a briefing on Thursday the State Department "does not agree" with Hoekstra's remarks about Muslim migrants in the Netherlands. "The ambassador made mistakes in 2015, made comments that should not have been made. He recognises that," Goldstein said. "We have made clear to the ambassador that he must move to get this behind him. And he definitely understands that. He feels great remorse." Dutch Prime Minister Mark Rutte told journalists in The Hague on Friday he too disagreed with the comments, but declined to elaborate. In December, Hoekstra denied making the 2015 remarks, telling the Dutch television program Nieuwsuur it was "an incorrect statement ... fake news." Later in the same interview, he denied calling it fake news.